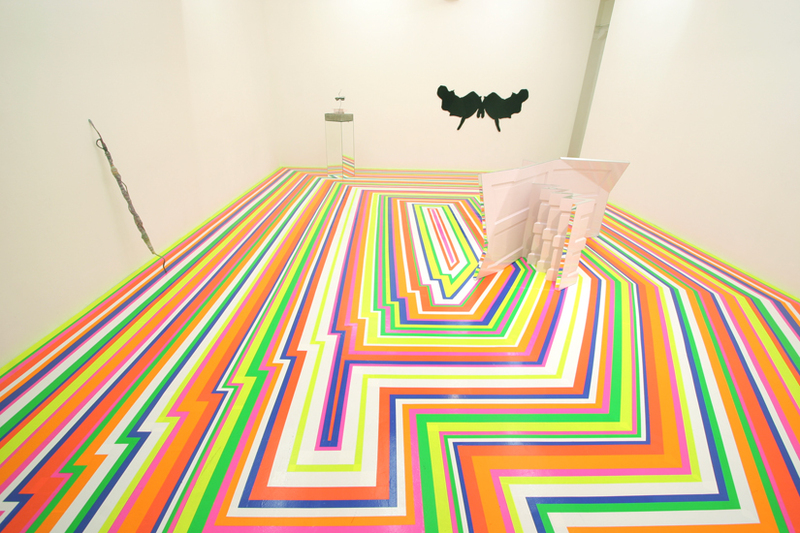 Mizuma Art Gallery is pleased to announce Jim Lambie’s first solo exhibition in Japan from April 12th. For this exhibition the work will be presented in two different spaces of the Fujiya building, Mizuma Art Gallery (2F) and our new space Action Mizuma (5F), which opened last summer. Born in Glasgow in 1964, Lambie is one of young artist receiving great recognition in both domestic and international art scene, who began to show in major venues in the late 1990’s, and was nominee for the Turner Prize 2005. Lambie has a close relationship with the music world. For those who are not so familiar with the art world might know him as an artist who designed the cover of his old friend Primal Scream’s first compilation album, he was in a band called The Boy hairdresser, and still performs as a DJ and plays in few bands. 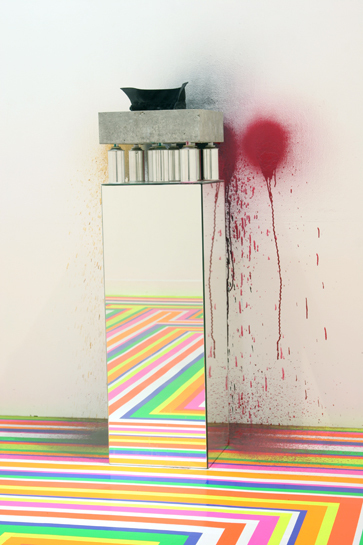 For artist like Lambie whose work is famous for carrying strong references from everyday life and pop culture, using ordinary materials and found objects transforming it to new interpretation of their new incarnation, it is quite natural that the music is reflected on his work whether it is his use of actual object or aesthetic of the music world. 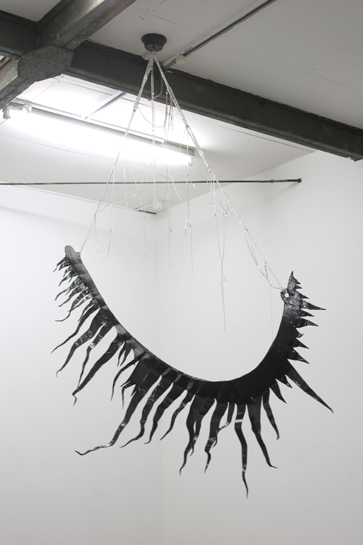 On the fifth floor new works made by Lambie in Tokyo will be exhibited. What is Lambie going to experience from metropolis city Tokyo where numerous genres of cultures co-exist in a hype of constant transition, and what sort of materials is he going to select from our everyday life? Please enjoy the surprise created Lambie for this specific place: Tokyo and specific space: Fujiya building that are stimulating both visually and for the mind.